Cabo Azul Resort and Spa in Cabo San Lucas. I stayed here because of a great 4 night package booked through Travelzoo. 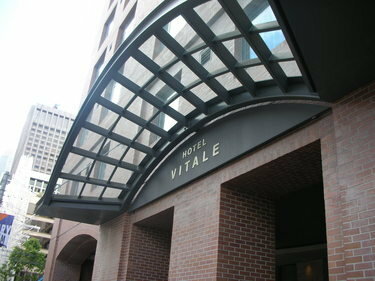 Hotel Vitale along Embarcadero in San Francisco. Got a room that was half off through Joie de Vivre’s Facebook Fridays. Travelzoo is one of my all time favourite sites. The site is broken under travel categories: hotels, airfare, cruises, etc. You can start your search by clicking on your desired location and travel category. Or you can just simply type in your location and / or category in the search box. I find Travelzoo particularly useful for the hotel deals. Frequently, these are deals offered directly by the hotel, sending you directly to their site or providing their direct reservations number with a promo code for the deal. It’s not just about discounted rates. 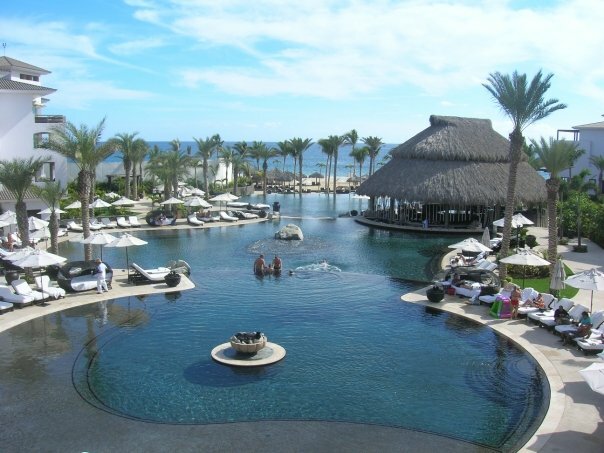 The deals often include extra amenities such as food / beverage credits and late or early check out. Since the deals are offered directly by the hotel, the payment and cancellation policies are more flexible than third-party sites such as Expedia and Travelocity. You don’t have to prepay in April for a reservation in June, for example. Also, since you booked directly with the property, you can just deal with the hotel directly when issues arise (my horror stories of having to resolve issues with third-party sites such as Expedia will be in a later post). And because travel is not just about getting there and finding a place to stay, Travelzoo also has entertainment deals. I’ve purchased sports, music, and theater tickets at a discounted rate because of Travelzoo’s promo codes. You need sign up for Twitter if you don’t already have an account. More and more travel providers are providing exclusive deals and / or are informing their Twitter followers of their deals before the general public. Who should you follow? Conde Nast’s wonderful Wendy Perrin posted a fabulous list of some of the twitterers you should follow here. @JetBlueCheeps and @VirginAmerica are two twitterers that constantly post airfare deals. @JetBlueCheeps releases a limited amount of heavily discounted seats to followers every Tuesday for upcoming flights. The past week’s cheeps offered $89 Boston to Tampa seats. @VirginAmerica runs short discounts that are usually tied to some kind of company celebration or promotion. Last month, @VirginAmerica released fares starting at $33 ($33 for San Francisco to Los Angeles – I haven’t seen a fare that low since I was in college about 8 years ago!) for 7 hours to celebrate their third win as Travel + Leisure’s “Best Domestic Airline.” Followers of @VirginAmerica were notified immediately of this spectacular sale before it got out to the general public and their reservations system started to slow down. @United Airlines releases discounted fares through their Twares. I suggest following all of your favourite travel providers. There is also Facebook. In addition to releasing a discounted rate for one of their properties every Tuesday on Twitter, Joie de Vivre Hotels releases another deal on their Facebook page on Facebook Fridays. Joie de Vivre’s collection consists of boutique hotels in California, mostly in the San Francisco Bay Area and Los Angeles area. These deals are available for only a couple of hours so you have to act fast. Boutique hotel lovers should definitely check out Tablet Hotels for last-minute deals on unique hotels around the world. For travelers in the luxury segment, truth.travel notifies the traveler of deals from exclusive tour operators, luxury hotels and cruise lines, and premier airlines (usually business class fare deals). There are also sites such as Jetsetter and Vacationist offering discounted hotel rates. You have to sign up for memberships to both sites. One very interesting site is Luxury Link, which offers auctions for luxury stays and also mystery auctions. Mystery auctions, where the bids start at $1, do not reveal the property name and location until you win, although clues and pictures are provided. This is best for those with a very flexible schedule and mind. For those in California, like me, the Los Angeles Times runs a great Daily Travel & Deal Blog. It’s updated everyday and is particular great for Disneyland news and deals. The New York Times’ In Transit blog features deals sometimes, although it’s more focused on travel news. The featured deals on Budget Traveler’s Real Deal aren’t discounted that much but they offer good value for destination packages (for single room airfare and hotels the prior sites are more worth while). Speaking of packages, there are of course the online travel agencies such as Expedia, Orbitz, and Travelocity. They’ve all gotten rid of their flight booking fees (unless you’re booking a multi-carrier flight). I wouldn’t use them to just book a single hotel or single carrier flight, as usually the price is the same and sometimes higher when it comes to hotels, where you can get a small discount through your AAA (use that membership you paid for! ), AARP, or Government discount. But they do offer some good packages for high traffic destinations (Las Vegas, New York) and they’re still the best place to book multi-carrier flights. Travel Agents are particularly useful for cruises, which are still mostly booked through Travel Agents. There are so many intricacies involved with a cruise, pre and post cruise airfare + hotels, transfers, shore excursions, dinner plans, etc. that it’s best to leave it to a professional, especially if it’s your first time. They’ll work directly with the sales reps to get you the best deal and throw in extras like ship board credits. Mentioned above, AAA has travel offices that provide package deals for their members. You also can’t forget Priceline where you can bid for your hotel and car rental (bidding for airfare is just too scary for me). If you’re not set on a particular hotel and just need a cheap rate, it’s a good way to go if nothing else comes up. You can sign up for Fare Alerts from Airfarewatchdog. You just type in the route you want and the frequency of alerts you want. It’ll send out email alerts to you with the fare for your route, which allows you to pounce on a ticket when the price is right. Southwest Airlines, which do not charge change and baggage fees notifies you of exclusive limited-time airfare through their Ding application. And lastly, don’t forget that credit cards also offer their own travel programs now. Visa Signature cardholders have access to travel offers, great for car rentals, as do American Express cardholders (proprietary cards only). I hope this is helpful. Happy Travels!